Every month, we send our club members a full-sized bottle of amazing craft gin from one of the world’s finest distillers. We work hard to source new, limited edition and exclusive gins for our members, so you can be sure that you'll always receive a truly special gin that you won’t find elsewhere – certainly not in the supermarket. We capture the passion of our craft distiller partners in our monthly GINNED! 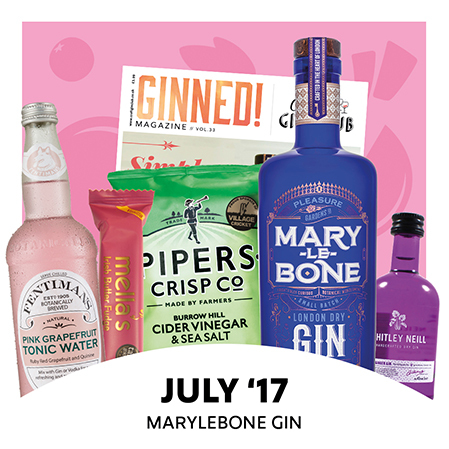 Magazine, packed with real-life gin stories, tailored cocktail recipes and much more. The naughty Christmas elves can think again if they think they’re getting any of my @craftginclub gin box goodies! Don’t know who’s more excited to try all the lovely bits in my Christmas box! It’s truly #friyay when your hamper from @craftginclub arrives!😍 Having a #ginconnoisseur hubby sure has its perks! Completely #vegan except for the vegetarian choccys. Who says #plantbased cannot be fun! Happy #weekend everyone!